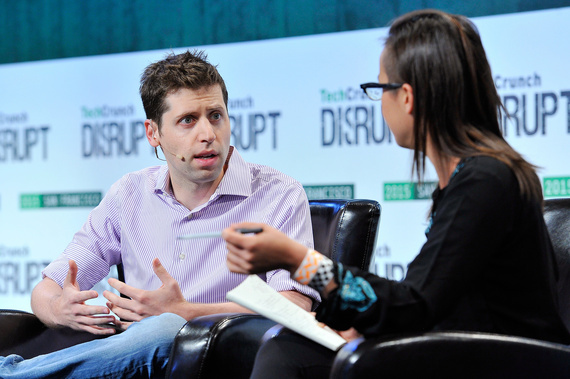 Few people know what it's like to be a startup founder in the current climate quite like Sam Altman. Altman is the president of Y Combinator (YC), one of Silicon Valley's most successful incubators, which funds and works with early stage tech companies in exchange for a sliver of equity. As president of YC, Altman meets founders all the time (and is a founder himself), so he's a respected voice within the startup community. On Tuesday, Altman published a letter he sent to YC's latest batch on how they should fundraise now that venture capital isn't flowing as freely as it used to. You should care more about good investors than good valuations. Use the YC investor database, talk to us, talk to alumni, and talk to the founders of the companies that investor has funded (especially in cases when the companies haven't worked out). However, you should insist on clean terms (in practice, offering messy terms is a sign of being a bad investor). The fact that Altman is asking founders to be careful about who they seek investment from is the latest sign that tech fundraising may have peaked last year. It also means we could see fewer companies riding waves of hyper growth to an exit. Founders have to accept that if they take on investors now, they'll be working with them for quite a while. The best investors know that the most important thing to figure out at this stage is how much your users love you. Great engagement and word of mouth growth are magic for fundraising. Growth is obviously still really helpful. It's important to articulate why the company will eventually be in a strategically valuable position (i.e. a monopoly). It's important to articulate your mission. Don't be arrogant--this is a tactic that somehow does manage to work for fundraising some of the time for some founders, but most of the time it doesn't. If we're truly seeing a shift in how tech companies are grown, this is just the beginning. But it's not just the unicorns like Snapchat and Dropbox that are getting a reality check -- it's happening to early stage startups, too.